Here is a brief video compilation of footage from the Tibetan Plateau, as well as a few interviews with nomadic herders. I quoted one of the interviews in a previous post regarding Cultural Erosion. I believe these interviews point to the importance of preserving traditional livelihoods, calling for a re-shaping in how we conduct development. It’s not just about making sure everyone has the comforts of an urban lifestyle, but addressing the hopes and dreams of rural people. Note: I can’t confirm the accuracy of the translation yet as it is still in draft form. Dzongs are unique mountain fortresses found throughout Bhutan. Originally they were meant to act as protective measures against invading armies, such as the Tibetans in the 17th century. However, now they act primarily as administrative centers and accommodate monk bodies. 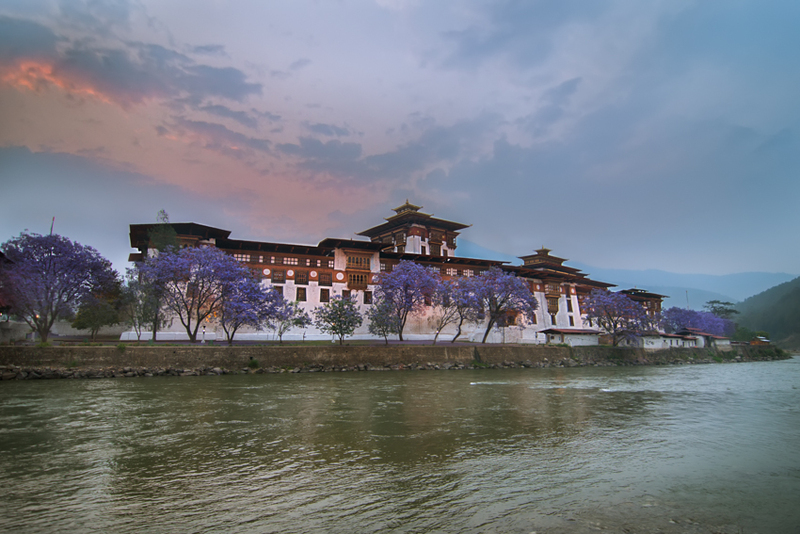 They are also the locations used for annual festivals such as Tshechus (Masked Festivals) and Drubchens (reenactment of Bhutan’s victory over Tibetan invaders). 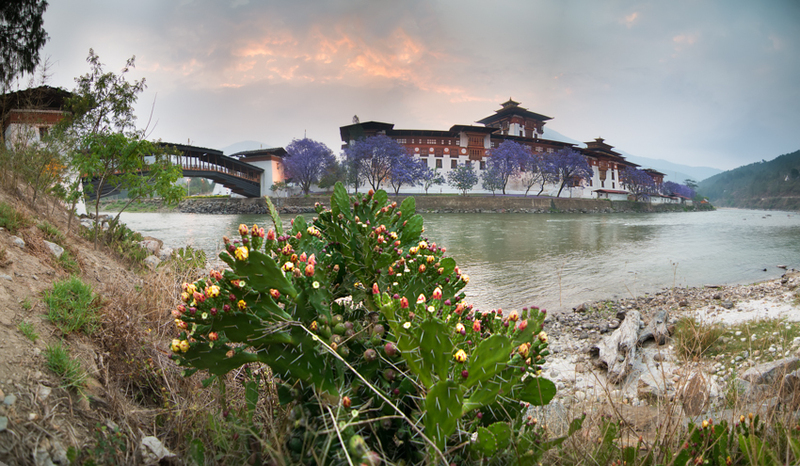 The Punakha Dzong is the 2nd largest Dzong in the country (biggest being Trongsa) and viewed by many locals as the most picturesque. Found at the confluence of Pho Chhu (river) and Mo Chhu this ionic image dominates the landscape, which is otherwise dotted with small homesteads, pine forests, and the foothills of the Himalayas. 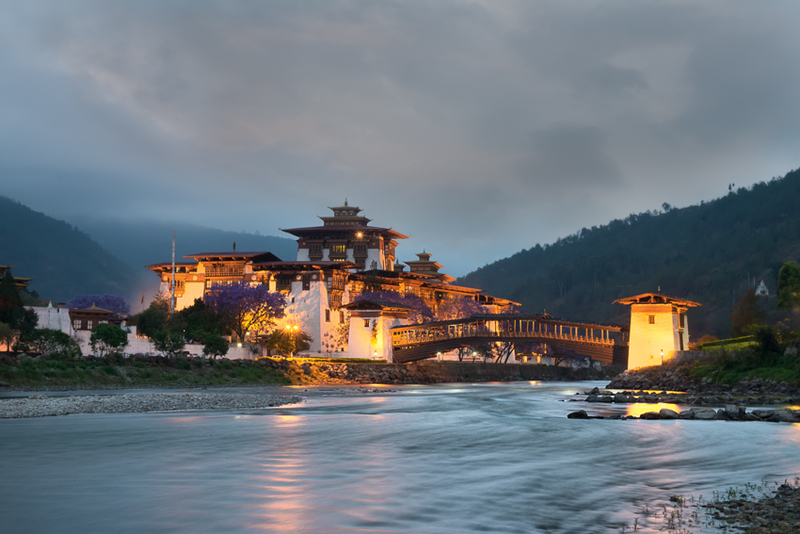 My family and I have had the opportunity to visit the Punakha valley a number of times, with much to explore we have enjoyed the hospitality of the locals, set up camp on the riverside, walked the longest suspension bridge in the country, river rafted the Mo Chhu, and enjoyed the silence the valley has to offer. In fact, I’m surprised to see such a massive structure and to see it accompanied by such quietness. Driving through the valley for the first time and seeing the Dzong in the distance, I expected to see a busyness associated with such large structures in other countries. But when I arrived, the rural nature of the valley hit me. Some peace and quiet that is hard to find in Thimphu, or even a college campus of 1,000 students (Royal Thimphu College).